International Singjay Reggae Artiste, X-amount is popping with style & rhythm; unique blends of Roots Reggae, Lovers Rock, and Dancehall under the umbrella of one sound. Born Gus Knight, III hailing from New York presently Kingston based, X-amount has received positive feedback from a plethora of radio stations throughout the island- including Jamaica’s IRIE FM, HITZ 92 and Zip 103 just to name a few. An introduction to Bob Marley, Dennis Brown, and Gregory Isaacs by his father at an early age paved the way for his musical career decision and set a solid foundation for him. He received his name “X-amount” through divine intervention, realizing that help from a higher power could enable him to do exceedingly and abundantly greater things beyond his wildest imagination. The International artiste has been active in the music industry for over 8 years and has been performing locally throughout Jamaica and abroad. X-amount has taken his stance in reggae and dancehall while opening various stage shows with King Yellowman, Vanessa Bling, Lady Saw (now Marion Hall), Elephant Man, Macka Diamond and Baby Cham amongst others. X-amount strongly advocates for the improvement of social communities, especially those that are disadvantaged. He explains that he is quite happy to do voluntary musical work when necessary while promoting social empowerment & opportunities that allow unique benefits for both his fans and community. With a diverse catalog of music, X-amount is certainly creating a frenzy within Jamaica and internationally. 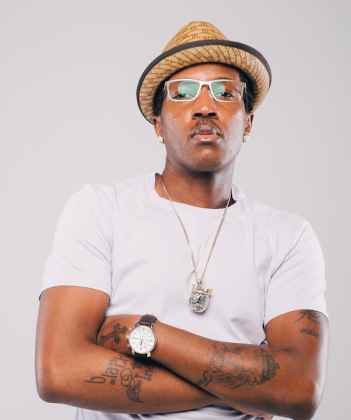 He is notably recognized for music singles like, “Shock Mi” (Sweet Escape Riddim/Yardstyle Entertainment) and VP Records release, “Lifetime Survivor” (Weedy G). On his 2017 single release, “Reggae Music,” X-amount gives thanks to his father while paying respect to the legends present and past. Written and produced by the artiste, he embraces positive vibes with this infectious Roots Reggae Anthem. Although his name is commonly used in a phrase, he has made it clear to the world that there are no limitations or boundaries to his musical creative process. His delivery is strongly built and the message is clear. No matter how hard they try to set the limit- he is revered within the industry as the one and only...X-amount caah count! Please contact us at Jack Russell Music if you would like to use any of X - Amount’s compositions for film, television, electronic media or covers.